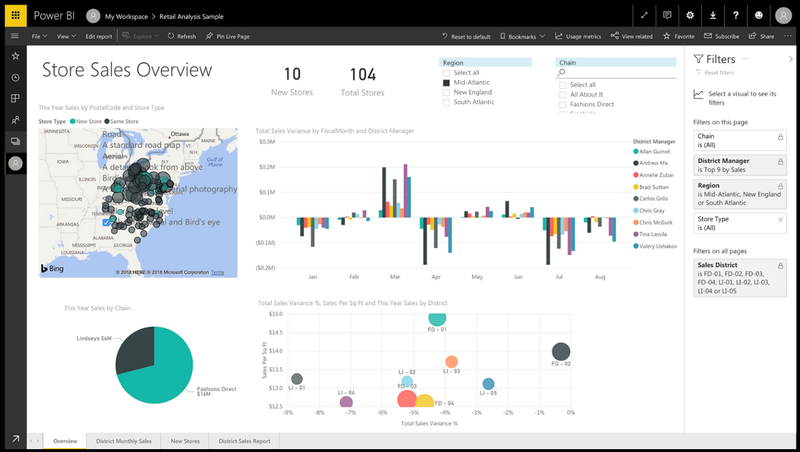 This public preview of the revamped filter experience went live with the November 2018 release of Power BI Desktop. This experience helps consumers of reports to better understand which filters are affecting a visual. It also helps with discoverability and gives report authors full control over the look and feel. Authors can apply a filter and lock it, so end users will not be able to modify the filter but will show it to them for their information. Hide individual filters or the entire filter pane from report consumers. Lock filters as read-only for report consumers. Format the filter pane to make it feel like a part of the report design. Define the default experience, expanded or collapsed, at report load time for report consumers. Understand what filters are being applied to a visual, including slicers, filters, and cross-highlighting. In addition to the changes to the filter pane, we are also giving authors the flexibility to show filters (including slicers) that are affecting a visual. Authors can enable a filter icon as a visual header and all the filters affecting that visual will show up when the end user hovers or clicks on that filter icon. This will help end users to understand which filters are impacting the visual to better interpret the insights. Accessibility for end users and report authors. Consolidating the filtering experience to a single pane. Ability for authors to sort and reorder filter cards.